You must make reservations at least 5 minutes in advance of the time at Ethos - Gallery. If you cannot find availability for your reservation, please call the restaurant. We will do our best to accommodate your party. At Ethos Gallery, we transport diners to the Mediterranean on a journey they won't forget. 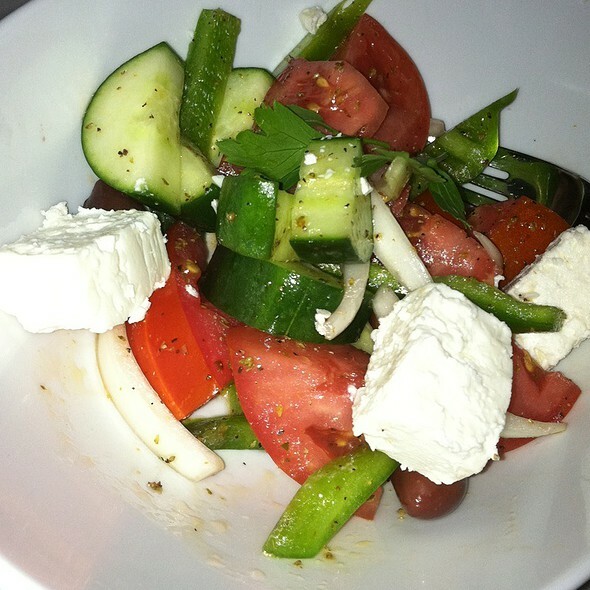 Voted Manhattan's finest casual Greek restaurant and its peers consider it one of the best restaurants in New York City. A warm, romantic setting awaits you while a dazzling display of fresh fish on ice flown in daily from all over the world entices you. 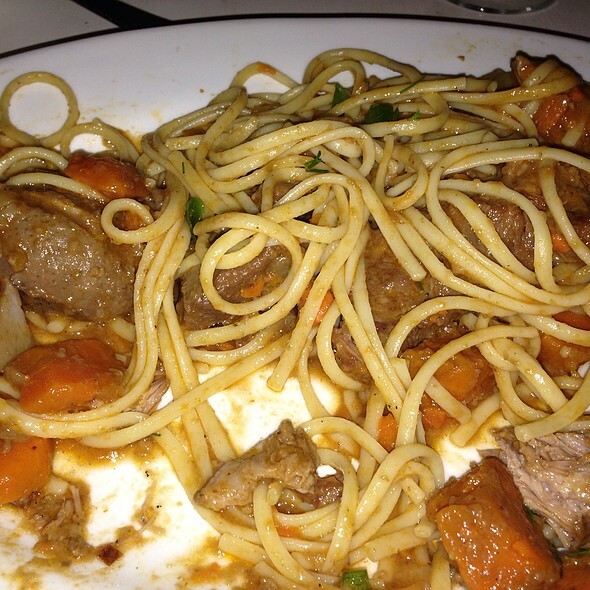 Energetic, polite wait staff provides impeccable service you'll feel like part of our family. At Ethos we offer a complete selection of Greek grape varietals. Enjoy one of our unique specialty cocktails with a Greek twist made with fresh herbs & the finest ingredients. Best Greek restaurant in area! Always consistently delicious! We got a sampling of small plates and dinners. 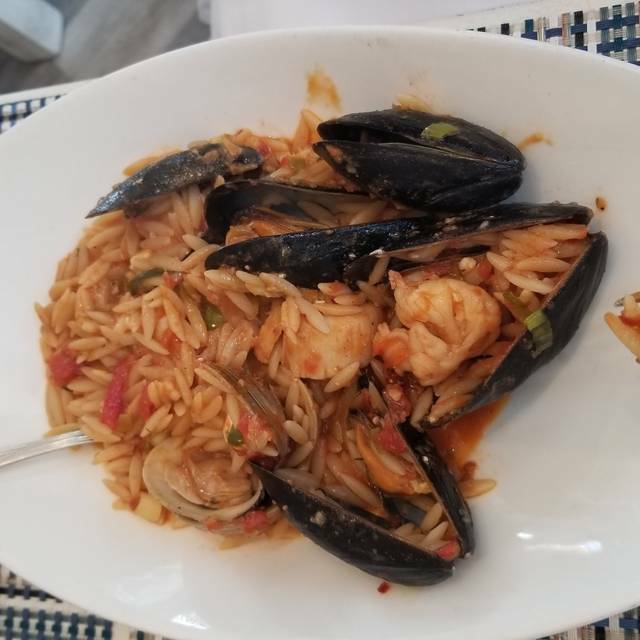 We couldn’t decide on a favorite dish because everything was delicious! Let me tell you, you would've thought I bribed these people. They greeted me and my party by name at the door with warmth and courtesy. Our waiter made certain we had no questions and was great and accommodating our meal requests and substitutions. The entire staff run like a pit crew and are very attentive. The food was divine and well worth the price. The cherry on top is that I made my reservation as a birthday celebration for a friend and it was only specified online - they checked in with the birthday girl and she denied it! But they stuck to their guns and stayed true to my reservation and suprised us all in the best way. 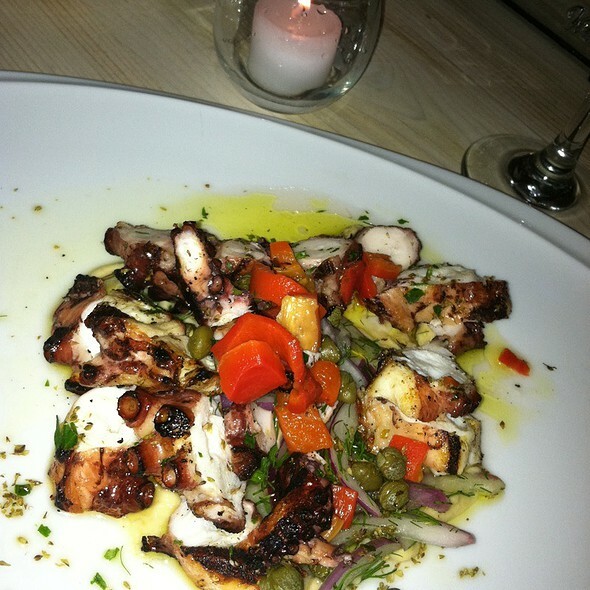 If you're planning a special get together or you just want a cozy Greek getaway on the UES then you need to go to Ethos... Now. Sometimes a little loud but always good! Everyone in my party of 5 loved the food and the experience of being at Ethos. Ethos is a neighborhood go to. 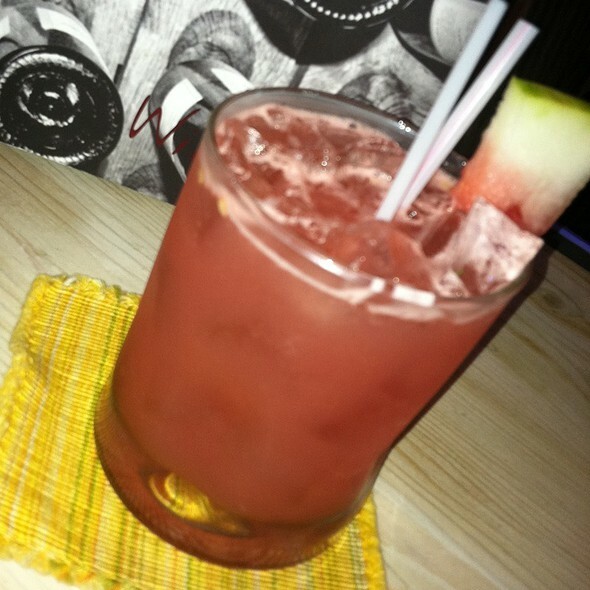 We love all of the staff, the food is excellent, and you have to try the spicy margarita! My mom and I had a terrific late lunch at Ethos Gallery 51 last week. Prix Fixe Lunch was a great value. The greek spreads and a salad were perfect first course. 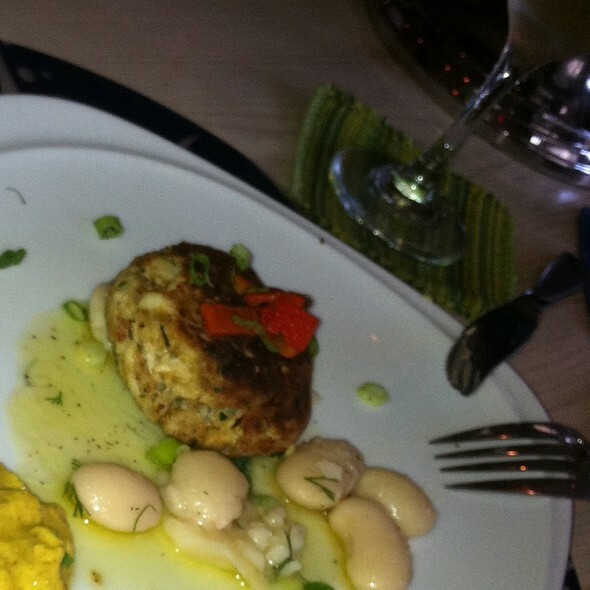 I had sword fish perfectly done and my mom had a delicious moussaka. Just right pastry with coffee for dessert was a nice finish. Service was efficient and pleasant. The room is bright and elegantly casual. We will definitely return. Food and service are very good, atmosphere great and surroundings cozy and inviting. The only thing is the noise level when crowded, it is very noisy. Fun but oh so loud we had to shout our way through the meal. Birthdays were plentiful and celebrated with terrific music and sparklers! Food terrific, and a nicely varied menu. Staff very helpful and informative, and made sure my large group had the best experience possible. This is a great restaurant for younger people. It was buzzing with fun activity but way too noise for us older people who could not have a conversation at a table of four at dinner. I’ve been for lunch and loved it, so we were unprepared for such a noisy experience. Delicious food, but we’ll never return for dinner. It was a Wednesday evening and the restaurant was hopping. I was dining with my husband and son. We shared the fried calamari and ethos chips for appetizers. Dinner for me was the tuna which is sushi grade and so delicious. My husband had the dorado and my son the salmon,both throughly enjoyed their dinner. We were lucky to have a birthday celebration occur while we were enjoying our dinner. A festive experience that’s even better when its for you. The food at Ethos is consistently delicious and the service is outstanding. I made a reservation for 8 people for my father's 70th birthday dinner... he's in a wheelchair, and all of the staff - from the person who took my reservation over the phone to the manager to our primary waiter and all of the servers - were so wonderful and accommodating throughout our entire meal. Thank you so much for making this a truly exceptional night to remember. My favorite restaurant in NYC. Always amazing! Excellent Greek Salad and wild salmon was fabulous and so was the chicken.We enjoyed our desert chocolate mousse with pastry, it was delicious followed by cappuccino.We will visit again. We decided to order several small plates rather than main courses. Every one was delicious and had terrific flavors. Servers were efficient and pleasant. Place was a little louder than I would have preferred, but overall it was a terrific experience. Didn’t know what to expect, but it was fun and exciting! The place was packed the music was lively and the food and drinks kept coming! Great for celebrations! Make reservations you will not get in! The food is always good here. Fresh ingredients, food well prepared, good service. Nicely decorated. Neighborhood gem. My first time — and it was absolutely perfect. I can’t believe Ethos is 3 blocks from my home yet I’ve never been before. I’ll be back soon and often! 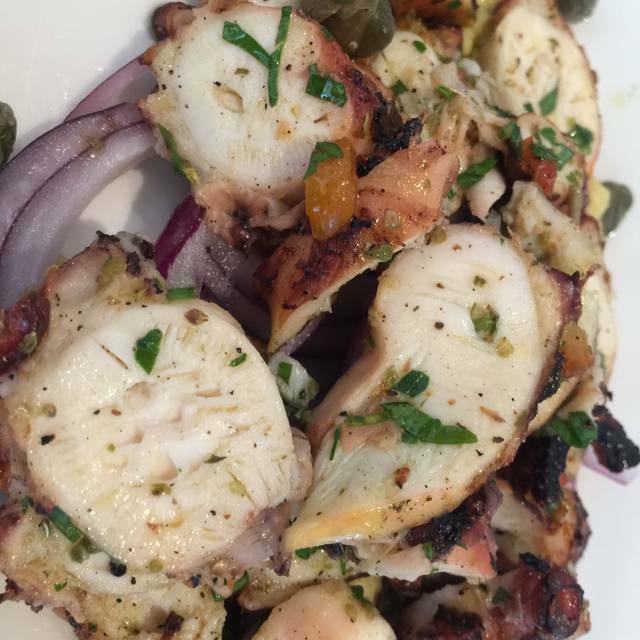 Stellar octopus, terrific grilled lobster, amazing spanakopita. Can’t wait to try the entire menu. Service was flawless. Archie took care of us like always. Food and service are tops. Fun night. Great food, great service, fun and lively atmosphere. Definitely will be back. Thank you Ethos! Our second time here. Fun atmosphere, good and friendly service, great fish, great Greek food. The complimentary dessert was delicious. We'll definitely be going back. We had a great time! The food was delicious and fresh. The service was top notch. Good vibes. Consistently great. A favorite ‘go to’ restaurant. 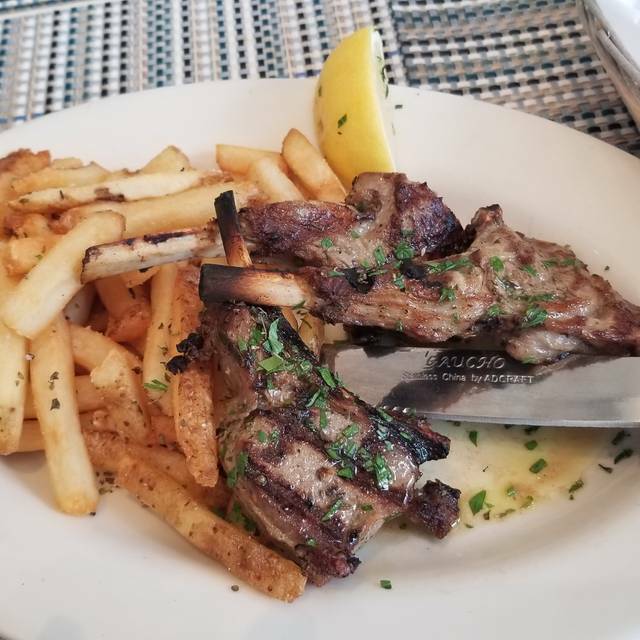 The best Greek restaurant in NYC! Thanks! My mom was in town so my boyfriend and I took her to dinner. As always, the food & service excellent. Look forward to returning shortly. Took my parents there for the first time! Really good Greek food w/lively atmosphere. Skip if you want a quiet dinner, go if you are with a bunch of friends. We were greeted by the host with a smile and "You must be John. Welcome to Ethos!" Our reservation was for 5:45pm dinner to celebrate my mother's birthday. We were seated immediately! The staff was incredibly friendly and professional. I left a note regarding the dinner's occasion and they surprised the table by dimming the lights, setting a sparkling candle, playing a Greek Birthday song, getting the restaurant to clap in, and giving us a dessert. Food was fantastic. Relatively pricey but definitely worth it. 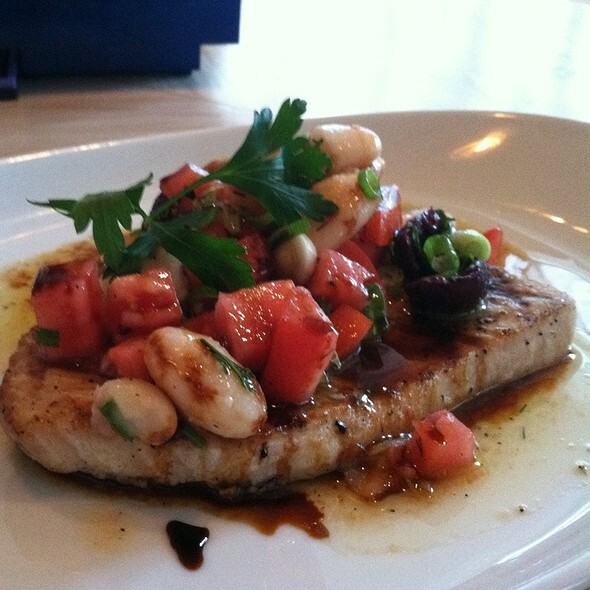 Fresh seafood and authentic cuisine.